More than a month has passed since the Volcanology and Geological Disaster Mitigation Center (PVMBG) raised the status of the Mt. Agung volcano in Bali’s Karangasem regency to the highest level, indicating impending explosion. However, fearing a drop in visits, the government has been trying to convince tourists that it is safe to come to Bali despite Mt. Agung’s increased activity. The Bali administration has moved swiftly in responding to the PVMBG recommendation by ordering evacuation of affected residents. Immediately after the highest alert status was raised, Bali’s governor imposed a two-week emergency response period, which has been extended to the end of this month. In addition to measures set by the local administration, Balinese residents, international NGOs and the central government have also been organizing aid. However, while the authorities’ quick response has been laudable, it appears that the Bali government failed to set up adequate measures to anticipate volcanic eruptions during the dormant period of Mt. Agung. The same state of non-readiness possibly occurs at other active volcanoes across the archipelago. Confusion surrounding management of evacuees after the alert status in Bali was raised to the highest level on September 22 indicated the lack of preparation. Meanwhile, the low public awareness of disaster risk reduction is reflected in the insistence of many residents to return to homes located within the 9-km danger zone. Also, studies have found that depression and post-traumatic stress disorder (PTSD) are among the most common side effects of natural disasters. To tackle the problem, agencies involved in the relief operation in the wake of the 2004 Indian Ocean tsunami in Aceh developed programs to entertain and empower evacuees, specifically women and children, to prevent significant increases in mental health problems. 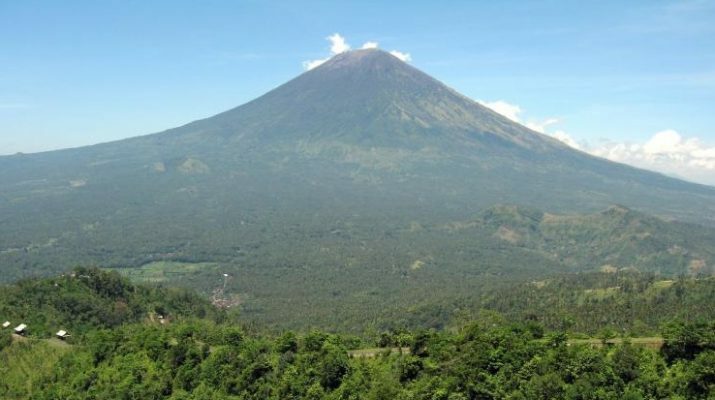 The Bali provincial administration appears to have overlooked this concern and is only focusing on short-term impacts of a potential volcanic eruption. As it faces revenue losses from tourism and increased spending to mitigate risks, pressure is building for the PVMBG to lower the alert status despite the continuing high level of risk, possibly setting the island up for disaster. A longer version of this article was first published for clients of Concord Review on October 25, 2017.